NOTE: Makes more than enough custard cream for two large tarts. Leftovers can be whipped into homemade ice cream or used in a chocolate or vanilla layer cake. Beat eggs together with a mixer in a large bowl. Slowly add sugar, and whip until lemon colored. In small additions, beat in flour and corn starch until smooth. Set aside. Bring milk and cream to a simmer in a heavy sauce pan. Add lúcuma pulp and stir to incorporate. Pull off heat and allow to cool for a few minutes. Add the lúcuma mixture in a stream to the egg mixture. Beat until well combined. Return mixture to the sauce pan and bring to a boil, whisking constantly. Simmer for 2-3 minutes, or until the custard is thick. Pull from the heat and beat in the butter and vanilla. Transfer to a bowl. Cover surface with plastic wrap and chill thoroughly, at least an hour. Spread into a cooled pâte sucrée pastry shell. Prior to serving, cover with lightly sweetened whipped cream. 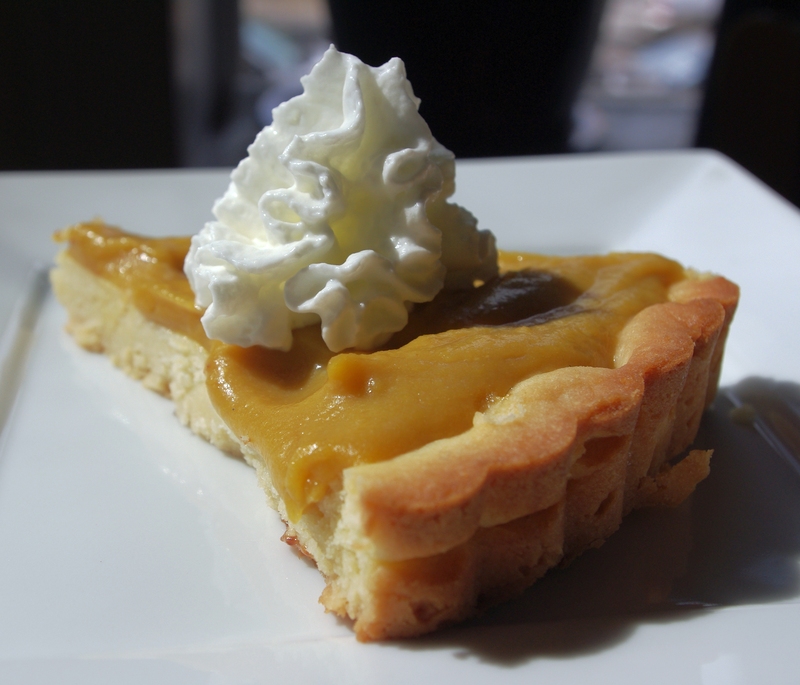 Optional: For a creamier consistency, whip 1½ cups heavy cream and gently fold into the custard before filling the tart. This custard definitely needs either whipped cream on top or incorporated as the flavor is intense. As another way to balance the custard, a thin layer of sliced bananas on the bottom of the crust would be delicious.